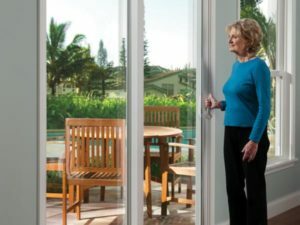 Step inside to a more comfortable home with vinyl patio doors. Customize everything to reflect your taste. 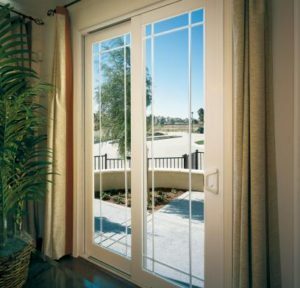 Tuscany® Series sliding patio doors come with optional Blinds Between Glass. 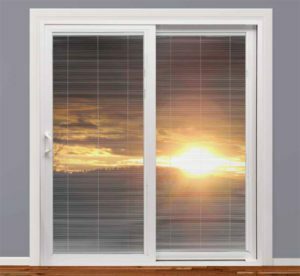 Durable aluminum slats control light and privacy while protecting your home’s finishes from harmful UV rays. Blinds sealed in the glass unit allow them to stay clean and free of debris and eliminate the need for dusting and cleaning of blinds. Magnetic lift and tilt controls keep the glass unit sealed, allow for no external cords, and are safer for pets and small children. 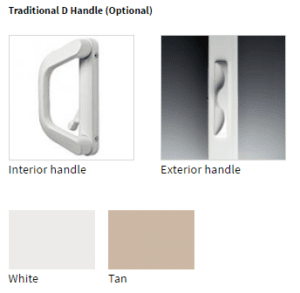 SmartTouch® door handle for ease of operation. SunCoat® Low-E2 glass comes standard. This microscopically thin coating is applied to one side of the glass to reflect heat from its source in the summer, keep heat inside in the winter and reduce harmful UV rays. 10 year specialty glass warranty. For complete warranty details visit milgard.com. 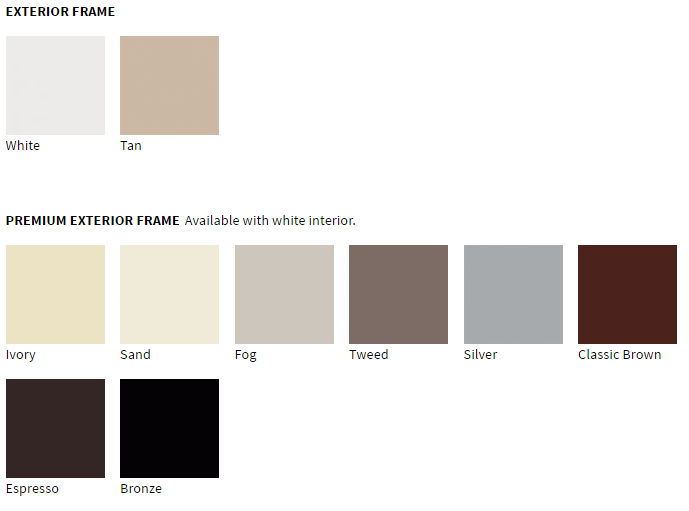 White and Tan come with matching interior/exterior. Express your creativity and increase your home’s curb appeal with our virtually endless grid options. Sleek and Ergonomic – The SmartTouch handle has a sleek, ergonomic design and hidden lock mechanism. A simple one-touch motion unlocks, opens and closes the door, making it accessible and usable for all ages. Exceeds Forced-Entry Codes – The SmartTouch handle’s lock and grip combination exceeds all California forced-entry requirements, which are among the most rigorous in the nation. The SmartTouch® door handle is available on Tuscany® Series and Montecito® Series sliding patio doors. In 2014, Milgard introduced a secondary lock for patio doors — an industry first. SmartTouch® Bolt is a fully integrated steel bolt that secures the sliding patio door firmly into the top frame with the flip of a lever. 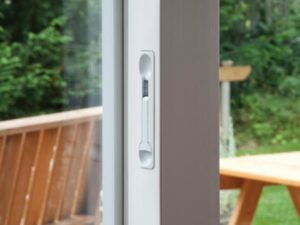 As an added benefit, SmartTouch Bolt can let the fresh air in while keeping the door secure in a vented position. The SmartTouch® bolt is available on Tuscany® Series, Montecito® Series and Essence Series® sliding doors. * Locks are designed to improve security and are not guaranteed to keep intruders out under all circumstances. Milgard’s patent-pending SmartTouch door handle with simple one-touch operation comes standard. So easy to operate, it recently received an Arthritis Foundation Ease-of-Use Commendation. The lock and handle also increase security with a tough locking mechanism that exceeds all California forced-entry requirements.